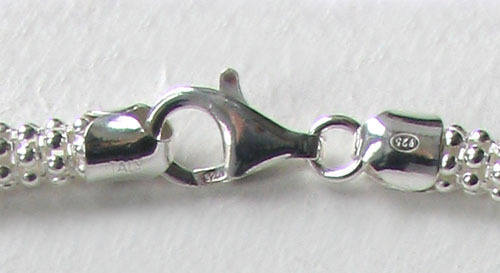 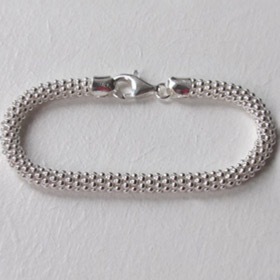 Italian sterling silver popcorn bracelet. 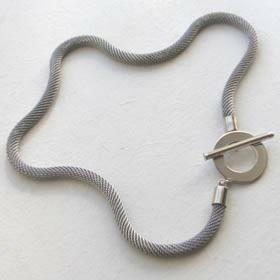 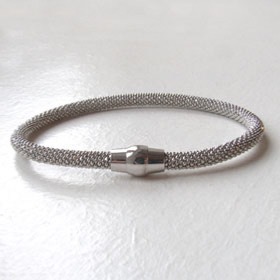 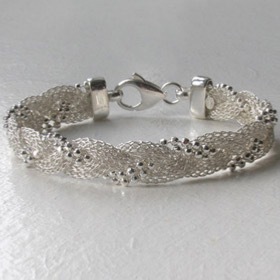 This popcorn bracelet measures 6mm in diameter and gives an elegant swirl of textured silver around your wrist. 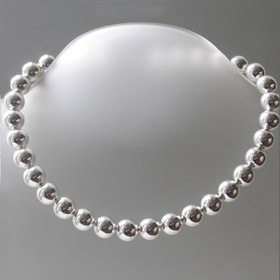 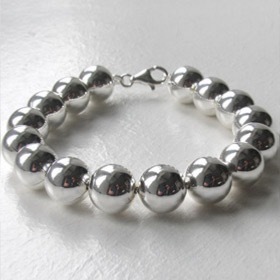 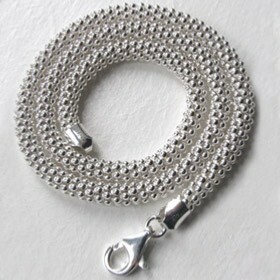 The popcorn style is made from silver ball chains wrapped around a core to create this circular silver popcorn bracelet. 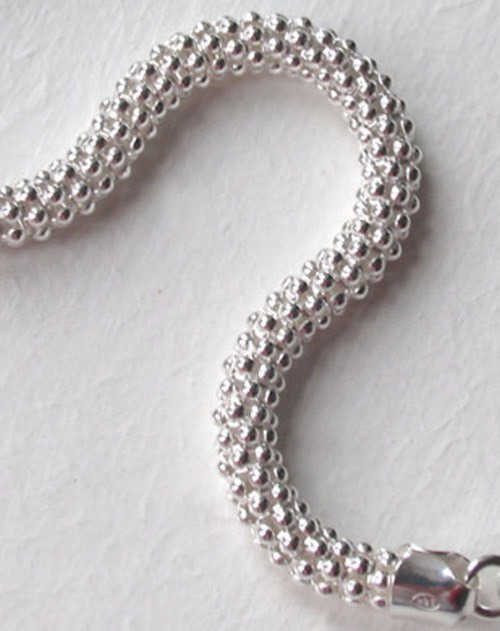 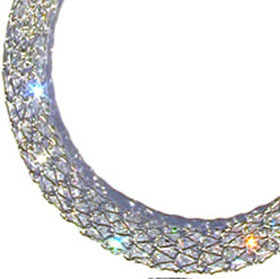 The texture is bobbly like popcorn and it sparkles and moves freely around your wrist. 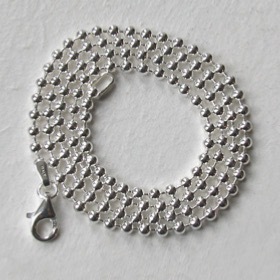 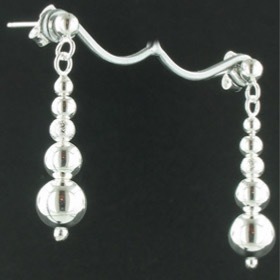 This popcorn bracelet is great value for money for a stunning Italian silver bracelet. 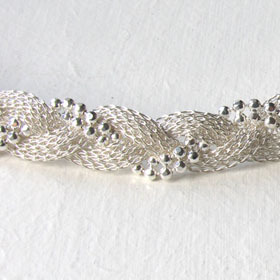 Take a look at the matching silver popcorn necklace.